HAIR LOSS & COLORS SHAMPOO PROFESSIONAL is a shampoo with wide trichological properties. indicated for weak hairs or hair loss, protects colored hairs and, recovers the molecular cohesion to its origins. 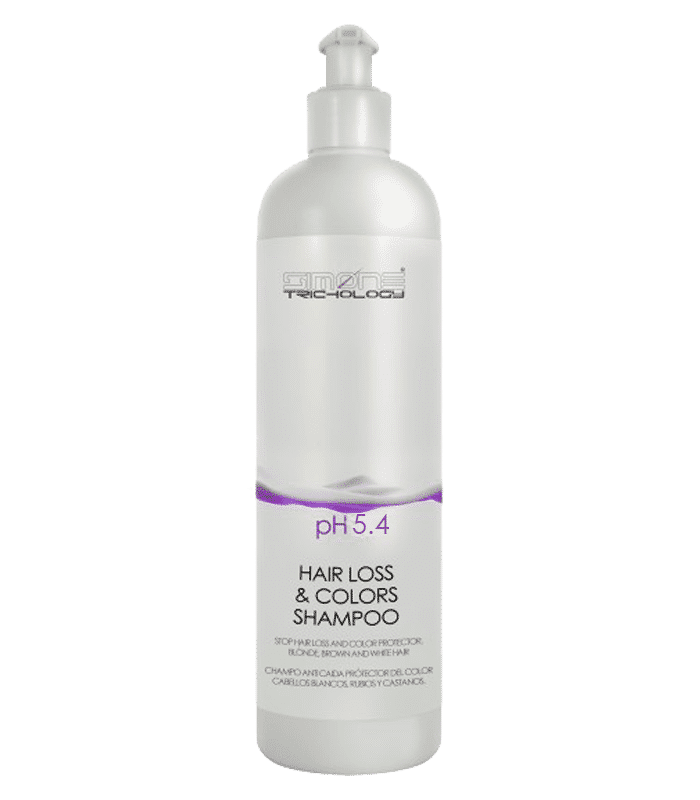 SIMONE TRICHOLOGY HAIR LOSS & COLORS SHAMPOO PROFESSIONAL is a shampoo with wide trichological properties. indicated for weak hairs or hair loss, protects colored hairs and, recovers the molecular cohesion to its origins. contains B vitamins, cegaba, proteins and amino acids. This shampoo has been developed specially for white, blonde and chestnut colored hairs. SIMONE TRICHOLOGY HAIR LOSS & COLORS SHAMPOO PROFESSIONAL is also available in professional format. Indicated in dyed hairs with hair loss, after beach baths (salty water); invigorates and returns the color to blonde hair. Highlights grey hair. IMPORTANT: Allow act for five minutes; rinse with lukewarm water. If your hair is very damaged, alternate with ATP OXYGEN EQUILIBRIUM SHAMPOO once a week.